Cocoa lip balm by Fran W.
If you like chocolate, then you may enjoy wearing this lip balm! *Melt petroleum jelly or shea butter in a heat-proof container, add cocoa and the contents of a vitamin E capsule by piercing it with a pin, and stir with craft stick until smooth. Once the mixture cools, it will become solid again. * Boiled water – Pour boiling water into a heat-proof container, place the bowl with petroleum jelly or shea butter over the hot water, and carefully mix until smooth. Be careful not to get water in the mixture. * Microwave – Place heat-proof bowl in the microwave for 10 seconds at a time until petroleum jelly or shea butter turns to liquid (do not allow to boil). 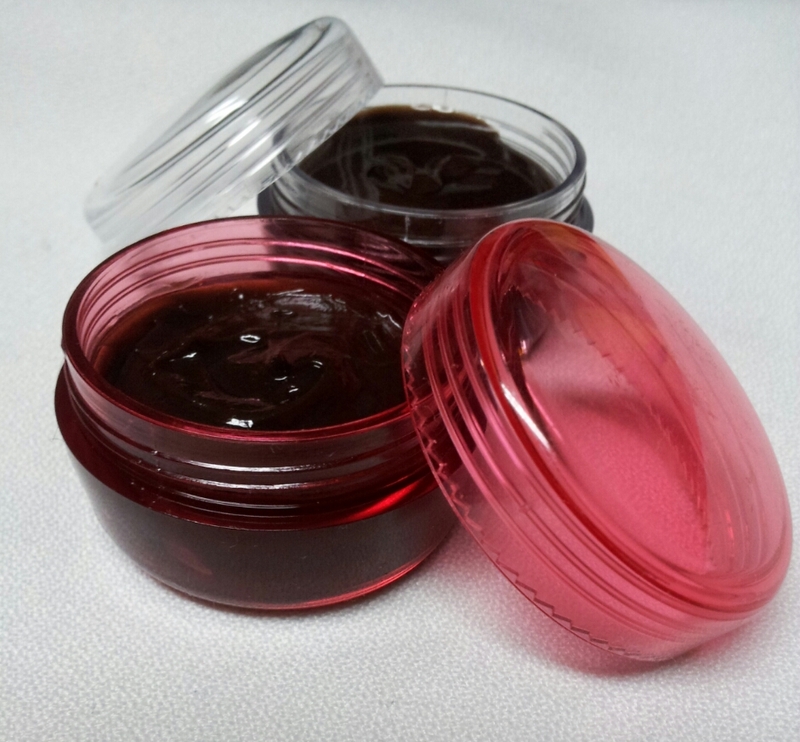 Note: If you want to make more lip balm at one time, use 3 parts petroleum jelly or shea butter to 1 part cocoa powder and an extra a vitamin E capsule. Tip: Look for small cosmetic containers in the health and beauty department of your favorite store. Contact lens cases can also be used for storing lip balm. Chocolate-Coconut: Use a small amount of coconut oil or a drop of coconut essential oil to the mixture. Try other essential oils such as orange, peppermint, berry, or another favorite scent.